A list I developed for when I teach in an academic setting. 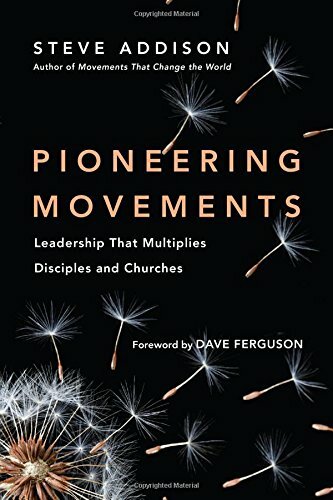 It doesn't include my three books on Movements. Allen, Roland. Missionary Methods: St Paul's Or Ours? 4th ed. London: World Dominion Press, 1912. Barnett, Paul The Birth of Christianity: The First Twenty Years . Grand Rapids: Eerdmans, 2005. Barnett, Paul. Paul: Missionary of Jesus. Grand Rapids: Eerdmans, 2008. Blauw, Johannes. The Missionary Nature of the Church: A Survey of the Biblical Theology of Mission. New York: McGraw-Hil, 1962. Bolt, Peter and Mark Thompson. The Gospel to the Nations: Perspectives on Paul’s Mission. Downers Grove, Ill.: IVP Academic, 2001. DeYoung Kevin. What Is the Mission of the Church? : Making Sense of Social Justice, Shalom, and the Great Commission. Wheaton, IL: Crossway, 2011. DeYoung, Kevin. 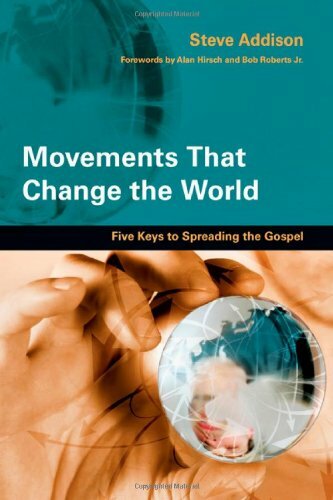 “The Goal of Missions and the Work of Missionaries.” The Gospel Coalition, August 27, 2013. Ferdinando, Keith. "Mission: A Problem of Definition." Themelios 33.1 (2008): 46-59. Frame, John M. The Doctrine of the Word of God. Vol. 4. A Theology of Lordship. Phillipsburg, NJ: P & R Publishing, 2010. Green, Chris. God’s Power to Save: One Gospel for a Complex World? Leicester, U.K.: Inter-Varsity Press, 2006. Little, Christopher, R., "What Makes Mission Christian? ", International Journal on Frontier Missions 25 (2008), 207-226. Marshall, I. Howard and David Peterson. Witness to the Gospel: The Theology of Acts. Grand Rapids: Eerdmans, 1998. Pierson, Paul E. The Dynamics of Christian Mission: History Through a Missiological Perspective. Pasadena, CA: William Carey International University Press, 2008. Schnabel, Eckhard J. Early Christian Mission: Jesus and the Twelve. Vol. I. Downers Grove, IL: IVP Academic, 2004. Schnabel, Eckhard J. Early Christian Mission: Paul and the Early Church. Vol. II. Downers Grove, IL: IVP Academic, 2004. Schnabel, Eckhard J. Paul the Missionary: Realities, Strategies and Methods. Downers Grove, IL: IVP Academic, 2008. Winter, Ralph, and Steven Hawthorne. 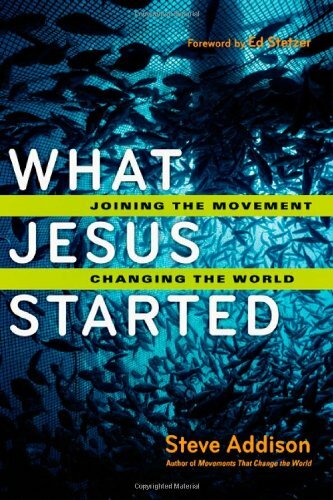 Perspectives on the World Christian Movement: A Reader. Milton Keynes, UK: Paternoster Press, 2009. Winter, Ralph D. The Unfolding Drama of the Christian Movement. Pasadena, CA: Institute of International Studies, 1979. Anderson, Allan. Spreading Fires: The Missionary Nature of Early Pentecostalism. Maryknoll, NY: Orbis, 2007. Cahill, Thomas. How the Irish Saved Civilization: The Untold Story of Ireland's Heroic Role From the Fall of Rome to the Rise of Medieval Europe. New York: Doubleday, 1995. Heitzenrater, Richard P. Wesley and the People Called Methodists. Nashville, TN: Abingdon Press, 1994. Metaxas, Eric. Amazing Grace: William Wilberforce and the Heroic Campaign to End Slavery. Monarch Books, 2007. Finke, Roger. “Innovative Returns to Tradition: Using Core Teachings as the Foundation for Innovative Accomodation.” Journal for the Scientific Study of Religion 43:1, (2004): 19-34. Gerlach, Luther P. and Virgina H. Hine. People, Power, Change: Movements of Social Transformation. Indianapolis: Bobbs Merrill, 1970. [out of print] or Gerlach, Luther P. and Virgina H. Hine “Five Factors Crucial to the Growth and Spread of a Modern Religious Movement” Journal for the Scientific Study of Religion 7 (1968): 23-40. Kuhn, Thomas S., The Structure of Scientific Revolutions. 2nd ed. Chicago, IL: University Of Chicago Press, 1970. Stark, Rodney. The Rise of Christianity: A Sociologist Reconsiders History. Princeton, NJ: Princeton University Press, 1996. Roger Finke and Rodney Stark. “How the Upstart Sects Won America 1776-1850.” Journal for the Scientific Study of Religion 28:1, (1989): 27-44. Adizes, Ichak. Corporate Lifecycles: How and Why Corporations Grow and Die and What to Do About It? 4th edition. Englewood Cliffs, NJ: Prentice Hall, 1998. [out of print] or Adizes, Ichak. Managing Corporate Lifecycles. Paramus, NJ: Prentice Hall Press, 1999. Beckstrom, Ori Brafman and Rod A. The Starfish and the Spider: The Unstoppable Power of Leaderless Organizations. New York: Portfolio, 2006. Collins, James and Jerry I. Porras. Built to Last: Successful Habits of Visionary Companies. London: Century, 1994. Collins, James. Good to Great: Why Some Companies Make the Leap…and Others Don’t. New York: Harper Collins, 2001. Collins, Jim. Good to Great and the Social Sectors: A Monograph to Accompany Good to Great. London: Random House, 2006. Collins, Jim. How The Mighty Fall: And Why Some Companies Never Give In. London: Random House, 2009. Sinek, Simon. Start with Why: How Great Leaders Inspire Everyone to Take Action (London: Penguin, 2009). Hirsch, Alan. The Forgotten Ways: Reactivating the Missional Church. Grand Rapids, MI: Brazos Press, 2007. Jenkins, Philip. The Next Christendom: The Coming of Global Christianity. New York: Oxford University Press, 2002. Or download article.